How do you like my fleur-de-lis peat pots? I had the idea to add one to peat pots. I used my terracotta clay. 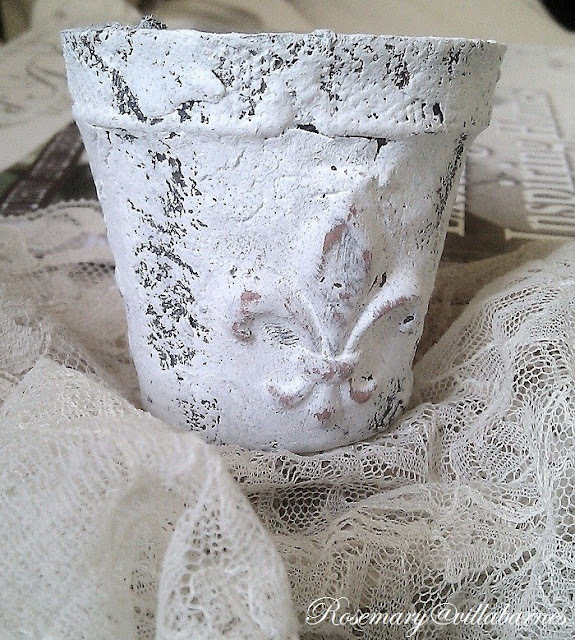 Aside from the fleur-de-lis, I smeared extra clay all over the peat pot. I finished with a mix of paint and plaster. Still extremely busy with my clay tags, and other redesigns. I'm already filling Christmas orders. So, back to work. Oh, I love them. So love the fleur-de-lis. I just ordered the tags from your Etsy store. Dear Rosemary, this is so lovely! You always have such great ideas! Rosemary these are really beautiful. I bet they would look gorgeous filled with greens! Rosemary that is beautiful!! Oh yes I am busy too.And still have not even started on my Christmas stuff UGH!! !I need two weeks of a 24 hour undisturbed state so I can get things done! Love it...your a true artist. hello! I come and visit almost every night .. in silence .. and I admire your creations .. I do not know how you do lho but definitely good .. then this is delicate and romantic .. the next episode! What a great light bulb moment and another creative use for your pretty tags. Love the way the peat pot turned out. 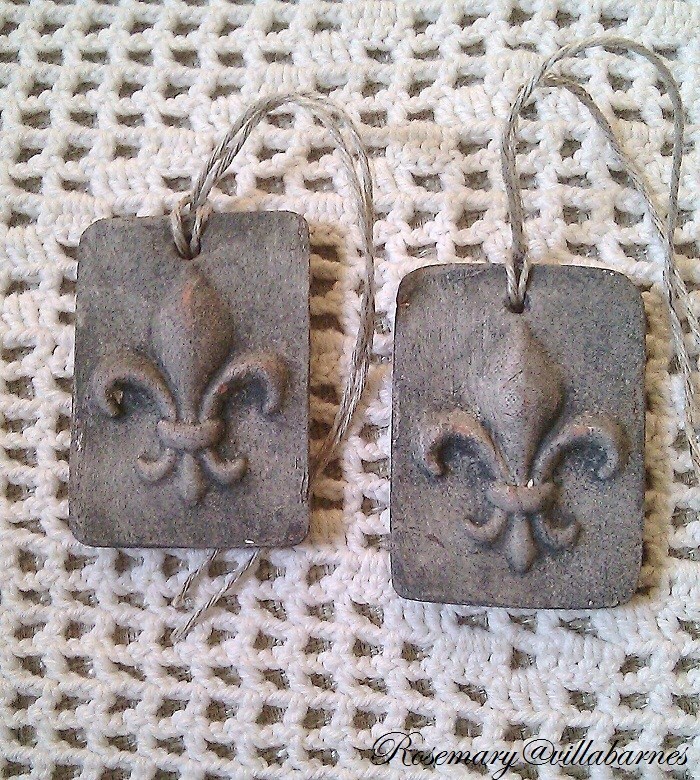 The tags themselves are stunning but your treatment of the pots combined with the fleur de lis is wonderful! Rosemary you amaze me in what you do with clay and paint. You have the most beautiful designs. Rosemary I love the pot and those cute tags!! Have a great weekend! Rosemary, loving the peat pots! Great idea and your tags are wonderful! Love! 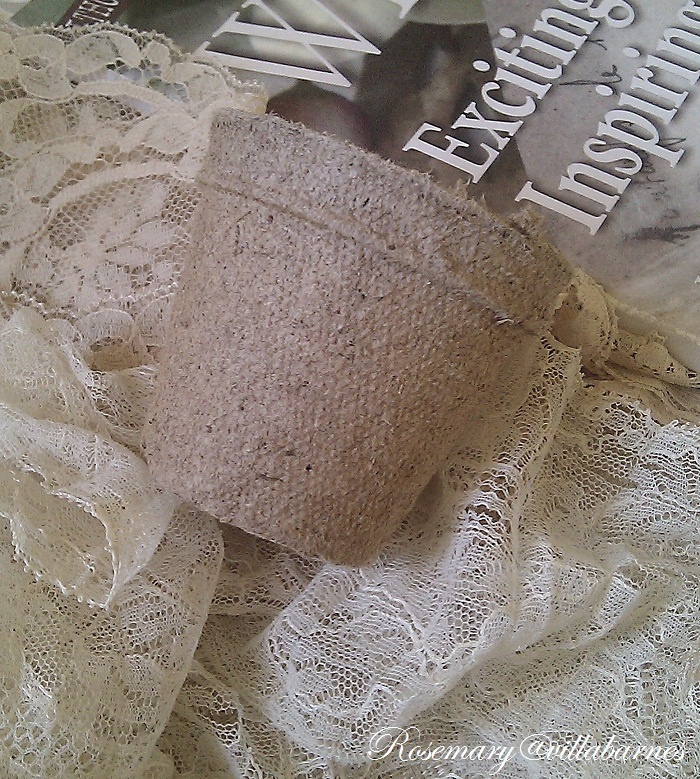 I bought some peat pots at a garage sale this summer that I still need to craft with. 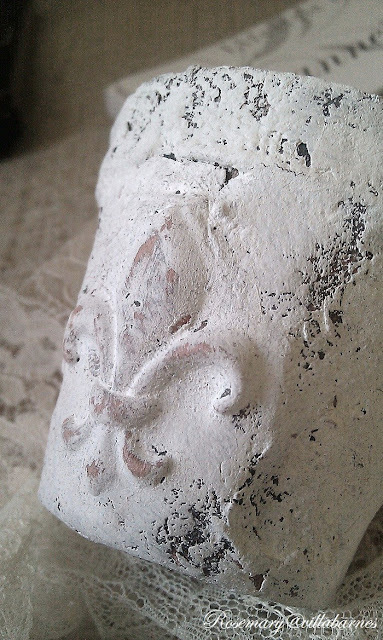 The fleur de lis motif is tres magnifique! Your French pots are very beautiful. I love the tags too! 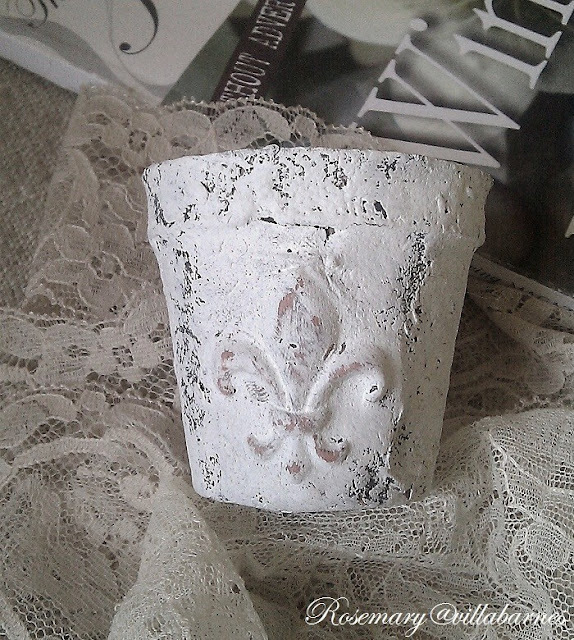 The Fleur-de-lis pots are beautiful, Rosemary--the plaster in your finish gave it a really neat texture. Thank you for stopping by my blog and leaving a sweet comment--glad you enjoyed the apple salad recipe! You are so gifted, Rosemary. Sometimes I feel something literally stir inside of me when I see your beautiful creations. I love working with clay, I like your work and tutorials!! love love love your fleur-de-lis peat pots and tags. Oh, I came back to say how gorgeous your clay creations from the previous post are. the old world finish on the angel wings is stunning. You are so talented. I love reading your blog. Those peat pots are adorable!! These are wonderful! I love the texture. Rosemary, your projects are always so gorgeous. Thanks for linking up at Shabbilicious Friday last week. I'll be featuring this project at tomorrow's party. I love this....your new cameo one is the best ever!! any instructions anywhere on how to do them??? Firing clay or air dry clay? Beautiful.